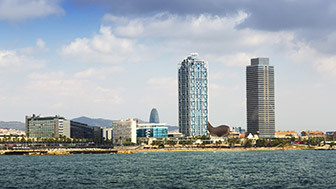 In recent years, Barcelona has become one of the capitals for investment and scientific excellence. 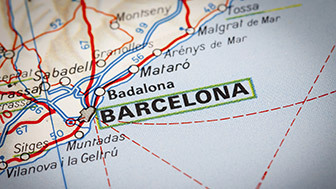 There are more and more researchers coming over to work here and more and more businesses establishing themselves in the Catalan capital, only too aware of the quantity of talent there is, from both within and without the country. With 22 concessions per million residents, Catalonia and its capital Barcelona lead the way in Europe when it comes to raising Europe’s most prestigious research awards: European Council research grants. The University Grants Management Agency (AGAUR) manages 30 lines of financial aid for R&D&I, totalling around €100 million, for fostering excellence in research in Catalonia. 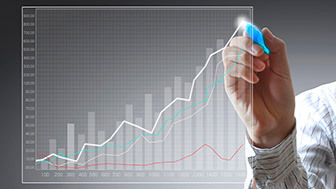 The grants are awarded through an independent, transparent process using external experts. This favours the mobility of researchers in Catalonia, thanks to various financial institutions. There are a large number of cooperation programmes between countries and institutions that help to bring talent together for research. Ambient Assisted Living (AAL), which works towards strengthening European industry through ICTs, and the Latin America Academic Training Programme (ALFA), which provides funding for researchers from 18 Latin American countries so that they can undertake research in Europe. Private entities and foundations have research subsidy programmes in various fields and offer grants for researchers from different countries to carry out work. The research projects funded are often aimed at social progress and improvement. The Industrial PhD Plan is for people who wish to do a doctorate in a company, in collaboration with a university. Students have the opportunity to enter a working environment while they do their thesis. And they do so with a 3-year employment contract, for a gross minimum of €22,000 a year, and other advantages, such as free enrolment and a mobility allowance. There are two programmes: one is for honour graduates resident in Spain (and also residents in the EU) for studying and doing research abroad, while the other provides funding for educating foreigners in Spanish and foreign universities, research centres and organisations, with the aim of facilitating higher education and strengthening educational and research institutions in member countries. The prestigious Fulbright scholarships, for artists, doctors, civil servants and honours graduates, offer both the citizens of the country concerned and United States of America citizens who wish to study in our country the opportunity of broadening their knowledge. You can consult the information relating to the various grants offered by funding organisations, which facilitate mobility or short-term stays for carrying out research projects, for the professional development of researchers. This agency offers support for innovation and the internationalisation of Catalan companies, through the offices it has around the world.